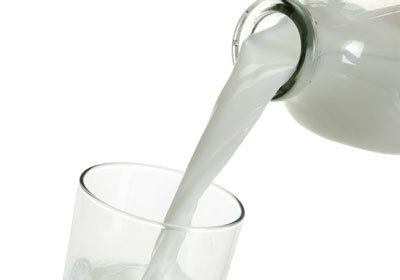 Organic Raw Milk is a very effective and nutritious drink for athletes during training and recovery. “Milk does a body good” at least when it's in the original organic and raw state. Here is why: contains 20+ essential amino acids (80% of proteins in milk are caseins and 20% fall into the class of whey proteins), 60+ active enzymes, rich in prebiotics and probiotics (good bacteria creates lactose), healthy fatty acids, abundant in natural vitamins and minerals, no antibiotics, hormones or pasteurization, and it taste great! Got Raw Milk? 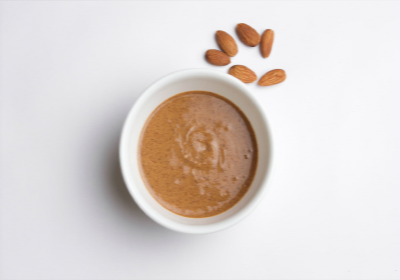 Organic Raw Almond Butter is a great food choice for athletes and is a preferred food by olympic competitors. It packs a punch with significant amounts of protein, calcium, magnesium (more than spinach), fiber (more than any nut or seed), potassium, manganese and vitamin E. When compared to traditional peanut butter it’s higher in magnesium, phosphorus, potassium and antioxidants, not to mention it has 50% more monounsaturated fat (good fat) and around 25% less saturated fat, great news for those watching cholesterol. Incorporate this delicious food that has been used for centuries as a delicacy on just about anything. 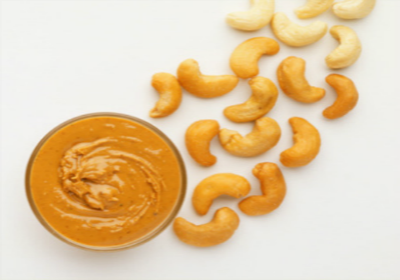 Organic Raw Cashew Butter is naturally sweet, smooth and creamy. It is used by powerlifters and professional athletes because of its high concentration of protein (plant based), unsaturated fats (lower fat content than most other nuts), B vitamins as well as a good source of essential amino acids, copper (important for the development of bones and muscle tissue), manganese and magnesium. Organic Raw Honey is a secret weapon for athletes. Used since ancient Olympics by athletes as well as boxing champion, Muhammad Ali. 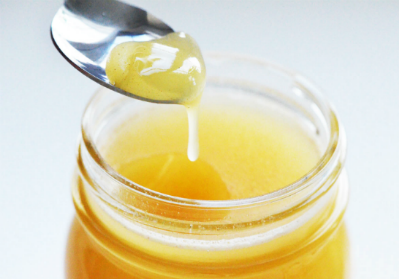 Raw Honey is an alkaline-forming food that contains natural vitamins, live enzymes, powerful antioxidants and other important nutrients as well as anti-viral, anti-bacterial, anti-fungal properties. It works great as a sustained energy source for pre-workouts, has been shown to increase performance during workouts, and it promotes muscle recuperation, glycogen restoration and recovery for post-workouts. For an athlete organic raw honey is "liquid gold!" Organic Bananas are known as the perfect food for athletes and is consumed daily by world class athletes. Bananas are inexpensive and are loaded with potassium, tryptophan (amino acid), calcium, magnesium, fiber, iron, phosphorus and vitamins B6 and C, not to mention they are fat and cholesterol free. This makes bananas the ideal choice to boost performance before, during and after workouts or competitions. 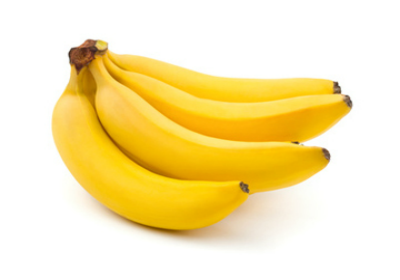 One bite of a banana will give you more electrolytes than a container of Gatorade. Bananas are the ultimate source of refueling for an athlete! 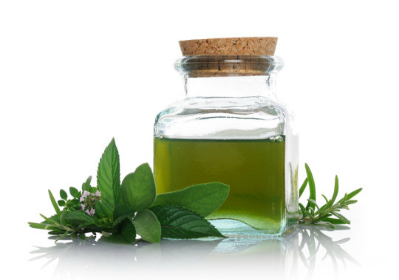 Organic Peppermint Oil has been used for years by professional cyclists and runners to help improve their performance and is considered to be a highly regarded herb in the sports world. This oil is versatile and in adequate amounts with the appropriate applications can be inhaled to stimulate and improve concentration or taken topically to help heal or loosen muscles. Studies show that a drop of peppermint oil in 16 ounces of water taken orally can improve athletic performance, (amount of total work performed by the test subjects was increased by 51%, including an increase in the time to exhaustion of about 25%) which means they went faster for longer. If you want to go a quarter longer, peppermint oil is the way to go! Organic Grass Fed Bison also referred to as Buffalo is a once wild game animal known for it's dense nutrient content and is suitable for the modern day athlete. It's rich in protein and high in iron yet is lower in fat, calories and cholesterol than skinless chicken, turkey or fish. Bison has 35% more protein than beef and is considered a complete protein because it contains all the essential amino acids. The quality of protein is as important as the quantity. 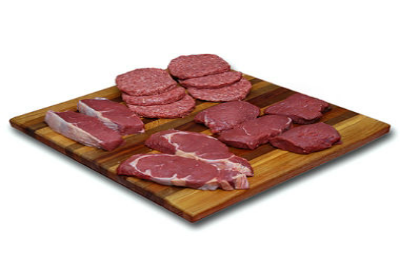 Lean Bison meat is a healthy source of several different vitamins and minerals many of which are higher in concentration in bison than in beef. 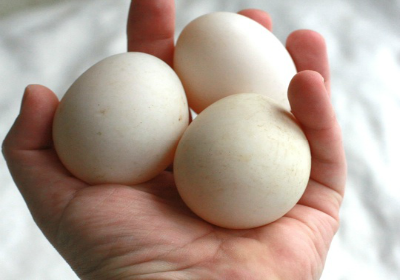 Organic Free Range Duck Eggs can offer athletes twice the nutritional value of traditional chicken eggs. Duck eggs are tastier/creamier and have more nutrients, vitamins and minerals. In fact, duck eggs have twice the iron, vitamin A and vitamin B-6, five times the amount of B-12, more protein, calcium, magnesium, omega 3 fatty acids, thiamin and niacin than chicken eggs. They are alkaline, while chicken eggs are acidic. In addition, duck eggs stay fresher for longer due to their thick shell. From an athletes perspective this makes duck eggs far more superior and because of it's larger size you definitely get more for your money. Bigger is better! Organic Raw Chia Seeds are an ancient superfood used by the Aztec, Mayan and Incan cultures. 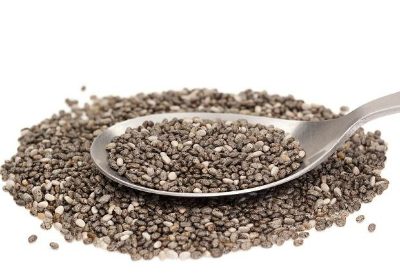 "Chia" is the Mayan word for strength and has been called "Indian Running Food." The Tarahumara Indians of Mexico, a tribe of super runners, used chai seeds as a staple food in their diet and were known to run 200-250 miles at a time. Per gram chia seeds contain: 8x more omega-3 than salmon, 6x more calcium than milk, 3x more iron than spinach, 15x more magnesium than broccoli, 6x more protein than kidney beans, 2x more protein of any other seed or grain, 2x the amount of potassium as bananas and 3x the antioxidants than blueberries. They can rapidly absorb a large amount of liquid, between 9-12 times their volume, in under 10 minutes. Modern day athletes such as Baltimore Ravens linebacker Ray Lewis use chia seeds daily. Organic Raw Coconut Oil is derived from one of the largest seeds in the world (coconut) and contains nearly all the essential nutrients your body needs for optimal health. Many athletes have been programed to think of fat as a bad thing. However, the reality is your body needs fat for energy, vitamin absorption, and to maintain overall health. Choosing good, healthy and natural plant based saturated fats, like coconut oil, won't store as body fat and can enhance physical or athletic performance. 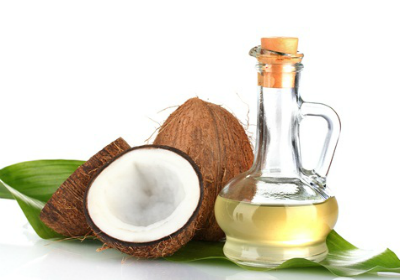 It's the medium-chain triglycerides (MCTs) in coconut oil that makes it different from all other fats. MCTs immediately converts to energy, speeds up metabolism and increases longer time to exhaustion. Coconut oil has been called "natures cure for candida" by athletes who have had symptoms of candida albicans. Use in cooking, frying, baking, or in smoothies. Organic Beet Juice has been a natural alternative for Olympic athletes looking for a non-illegal performance boost. One of the biggest limitations to us as athletes is our bodies abilities to utilize oxygen during exercise. 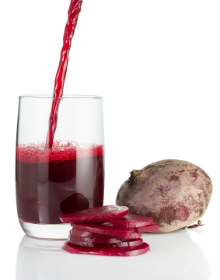 Beet juice is rich in nitrates, which help muscles use oxygen more efficiently. This, in turn, increases both power available to the muscles and length of time that muscles can exercise without tiring. Studies have shown that beets can have a performance enhancing effect on endurance athletes and can even increase exercise endurance time by 17%. For best results, drink 1-2 cups of beet juice a day, 2-3 hours prior to exercise. Just Beet It! Fulvic Acid is an organic compound usually found in soil and plants that serves as a vehicle to transport vitamins and nutrients to the right places in our bodies. Fulvic Acid helps the body, specifically human cells, to absorb the vitamins and minerals that it needs to be healthy. Often vitamins and supplements can't improve health unless they are properly absorbed by the body, which Fulvic Acid is designed to do. Modern farming methods have destroyed our soils and depleted minerals and nutrients including Fulvic Acid, which is critical to growth and development of all plant, animal and human life. Scientist may have discovered the "missing link" in our food chain which may explain why most americans are mineral deficient. In fact, Dr. Linus Pauling, winner of two Nobel Prizes emphasizes the importance of minerals by saying, "you can trace every sickness, every disease, and every ailment, ultimately to mineral deficiency." As an athlete, Fulvic Acid can supercharge your body! Many athletes have testified that supplementing with it results in longer training periods and reduced soreness after exercise. 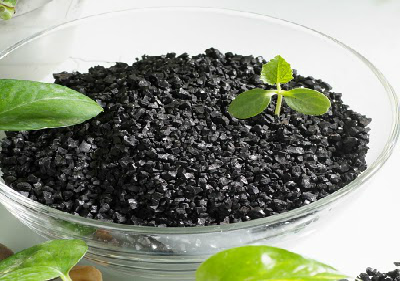 Fulvic Acid is available in powder and liquid forms. Magnesium is a mineral that is crucial to the body's function, especially for athletes who have a greater magnesium requirement. For an athlete, the more you train your muscles the more magnesium you use up and need to replace. Research suggest that 80% of americans suffer from magnesium deficiency, which can lead to symptoms like depression, anxiety, low energy and headaches. Raw and organic whole foods are a great source of magnesium. However, only supplementation is likely to make up for such a widespread deficiency in magnesium due to the american diet. 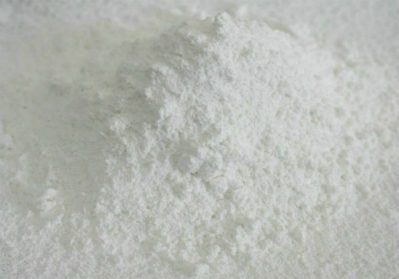 Powder form magnesium supplements are highly recommended because of it's instant absorption and most magnesium capsules and tablets are not completely absorbed by the body. Magnesium, although often overlooked and forgotten, is the athletes essential mineral!